Is scáthán den saol é an dráma láidir, The Matchbox, a léirigh Frank Mc Guinness den chéad uair an mhí seo caite. Bhí Tony Birtill ann agus thug sé taitneamh dó. 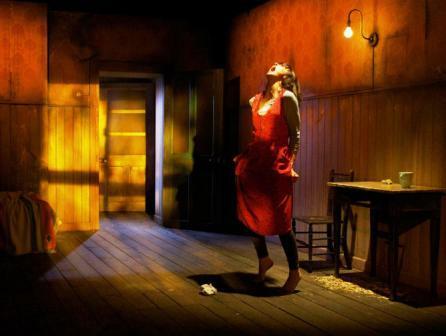 D’fhreastail mé ar an chéad léiriú domhanda de dhráma nua de chuid Frank McGuinness i lár an Mheithimh: The Matchbox , sa stiúideo Playhouse, Learpholl. Is as Bun Cranncha, Inis Eoghain, Dún na nGall é, McGuinness, atá ina ollamh le scríbhneoireacht cruthaitheacha sa Coláiste Ollscoile Bhaile Átha Cliath ó 2007, ach bhí sé ag an léiriú i Learpholl. Bheadh tuiscint ag na hÉireannaigh i Sasana ar théamaí an dráma seo: ag tógáil clainne i dtír iasachta; ag éisteacht leo ag fás aníos le blas Scouse/Brummie/Cockney ar a gcuid cainte; ag filleadh abhaile leo chun samhradh ídileach a chaitheamh i measc do mhuintire féin; agus an t-imni a bhionn ort faoi drochthionchar na cathrach móire orthu. Caint aonair atá ann, le Leanne Best ina Sal, Éireannach den dara glúin a d’fhill ar ais go Oileán Dairbre, Co. Chiarraí i ndiaidh bás a hiníne, Mary, dhá bhliain déag d’aois. Maraíodh í ar a bealach ar ais ó scoil i gcroslámhach idir mangairí drugaí. Nuair a fuair a hathair aosta bás go gairid ina dhiaidh sin, thug Sal agus a máthair a chorp ar ais go Dairbre agus ní raibh siad sásta an t-oileán a fhágáil arís. Ach ní mhaireann a máthair mórán ama tar éis sin agus tá Sal fágtha ina haonar sa seanteach, leis an scéal brónach a insint dúinn. Agus cuireann an scéal sin draíocht ar an lucht féachana. 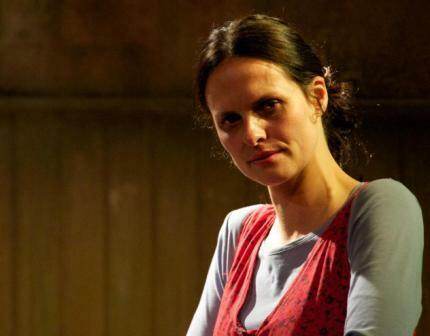 Insíonn Leanne Best an scéal le blas Scouse ar a cuid cainte, ach níl Learpholl luaite sa dráma a chor ar bith, agus thiocfadh leis an scéal a bheith as cathair ar bith i Sasana ina bhfuil na hÉireannaigh ag cur fúthu. 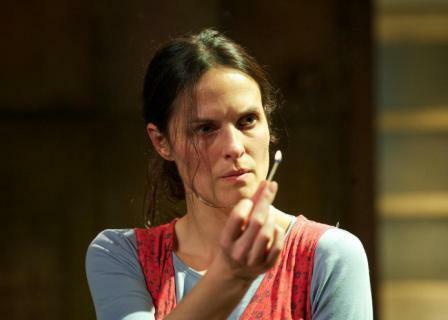 Athraíonn Leanne Best an blas ar a caint gan stró, óna tuismitheoirí go muintir na cathrach, sa dóigh go ndéanann tú dearmad go bhfuil sí ina haonar ar an ardán. Scéal coscrach atá ann, cinnte, ach tá greann dorcha agus íoróin ann fosta. Ach thar gach rud eile tá bean Éireannach ag streachailt leis an saol sa lá atá inniu ann. Déanfar comórtas gan amhras, idir an scéal seo agus dúnmharú buachaill óg, Rhys Jones i Learpholl. Scaoileadh leis an bhuachaill aon bhliain déag d’aois agus é ag siúl abhaile ó thraenáil sacair ag 7.30 i.n ar 22 Lúnasa, 2007. (Féach ‘Rhys Jones’ sna naisc.) Dála Mary óg sa drama, caismirt idir dronga ab ea an t-ábhar le bás Rhys Jones, agus labhair a mháthair ag preasagallamh, mar a dhéanann Sal sa drama seo. Ach mar a dúirt mé thuas, tig leis an dúnmharú a bheith i gcathair ar bith, mar tarlaíonn eachtraí mar seo ar fud na tíre anois agus mar sin ní dóigh liom go mbeidh conspóid faoi, mar atá leis an dráma nua Village of the Damned le Des Dillon, scríbhneoir Éireannach eile. Tá an dráma seo bunaithe ar dhúnmharú James Bolger, dhá bhliain, a fuair bás i Learpholl i 1993. Tá Dillon cáinte go láidir ag Denise Fergus, máthair James, mar dearbhaionn sí go bhfuil sé ag iarraidh airgead a dhéanamh as an tubaiste. Ach, mar fheiceann muid sa dráma seo, ní i gcónaí a fhaigheann tú an faoiseamh a bhí tú ag iarraidh agus tú ar ais in Éirinn. 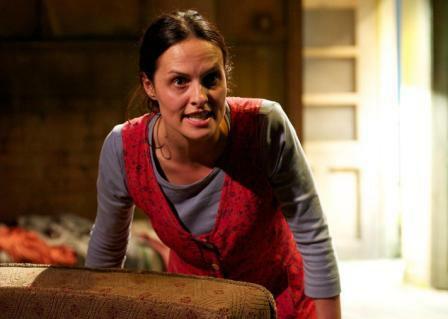 Labhair mé le Leanne Best faoi An Bosca Lasán i Mí Aibreáin nuair a bhí sí i mbun réamhléiriú don dráma. Rugadh i Walton, Learpholl, í, mo dhála féin, agus bíonn sí sa teach tábhairne An Fiach ansin anois is arís tar éis a cuid oibre. Bhí mé mall ag dul isteach sa phub, mar scaoileadh roinnt urchar i sráid de leataobh ar mo bhealach ansin agus chuir an tródam slándála a rinne na póilíní moill orm. Bhí sé suimiúil domsa a chloisteáil go raibh an dráma bunaithe ar eachtra mar seo. “Life imitating art,” mar a déarfá. Chuir an nuachtán áitiúil, The Liverpool Echo, grianghraf de gach íobartach ar a phríomhleathanach ar eagrán Bealtaine 14ú i mbliana leis an teideal: Shot Dead. 25 killed in SEVEN years….today the Echo demands: end this Merseyside gun madness. Caithfidh mé a admháil go mbraithim faoiseamh orm a bheith ar ais in Éirinn arís an ‘samhradh’ seo, d’ainneoin na báistí!